I am currently in a wonderful exhibition with the Charlotte ARTery at the Gaines Brown building in the Southend. The closing reception is Friday, June 3 from 6-9pm. If you're around, please stop in. 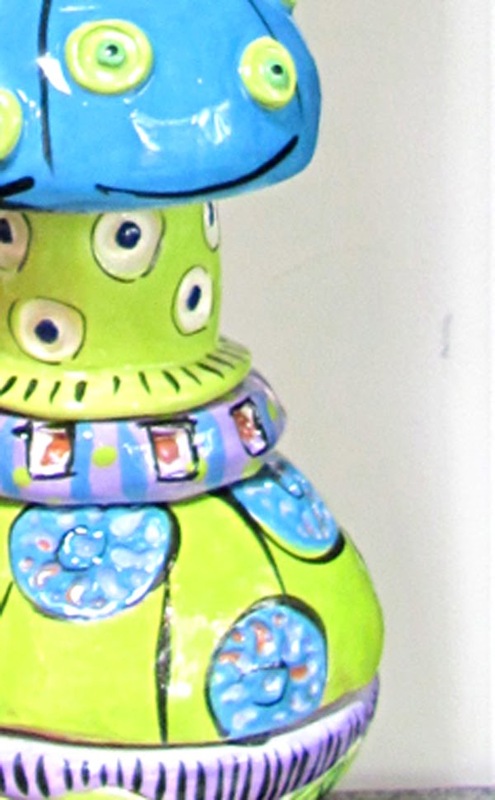 I'm showing five ceramic totems that stand on metal bases ranging in size from 22" to 33" tall. I've got to say that these are incredibly fun tomake. I begin by thinking size, proportion, color, shapes...and then I ignore all of that and just begin making whatever comes to me. It's then like a crazy vertical puzzle and eventually it all comes together. Hope you enjoy them!